Devi Prasad Singh And Devendra Kumar Arora, JJ. Devi Prasad Singh, J. – Present appeal under section 260A of the Income-tax Act, 1961 (in short hereinafter referred as ‘the Act’) preferred by the revenue is against the tribunal’s order relates to assessment year 2004-05. Controversy relates to a proceeding for penalty under section 271(1)(c) of the Act. 2. Assessee filed the return of the income on 14-10-2005 regarding total amount of Rs. 1,17,600 which was processed under section 143(1) of the Act. The case was selected for scrutiny under the guidelines for the Financial year 2005-06. Notice under sections 143(2) and 142(1) of the Acts were issued on 19-10-2006. In response to which counsel for assessee appeared to defend the cause of assessee. 3. Assessee has shown income from salary from M/s Ramjee Distributors (P.) Ltd. of Rs. 12,000 after claiming standard deduction, net income was disclosed at Rs. 7,200. The income from other source was disclosed at Rs. 1,22,394. The assessee has also shown long term capital gain on sale of shares of Sri Niwas Leasing and Finance Ltd. A number of shares sold on 15-5-2003 was 23,000 and the sale proceed was disclosed was at Rs. 25,25,400. Further 27,000 shares were sold on 21-4-2003 and the sale proceed was disclosed at Rs. 29,64,600. He has also constructed a house on plot No. 71-72, Chandganj Garden, Lucknow. By an order-sheet entry dated 30-11-2006 assessee was asked to furnish name of stock exchange through which share was purchased and sold along with rate of shares of the stock exchange on date of purchase and sale. Assessee has constructed house between financial years 2001-02 to 2004-05 with investment of Rs. 56,74,567. 4. Order-sheet shows that the counsel for the assessee appeared on 27-10-2006 and required to furnish the Contract Note of purchase and sale of shares sold with copy of bill of broker, justify holding of shares, which were sold, year-wise investment in house property, valuation report of approved valuer, confirmation of salary received from Company and other documents. 5. On 9-11-2006, Counsel for the Assessee appeared but filed only partial reply to the query made on 27-10-2006, hence, he required to furnish the valuation report of the approved valuer, source of investment in purchase share, copy of bank pass-book explaining each credit and debit entries, copy of demat account, if any. Again on 23-11-2006, counsel for the assessee required to furnish certain statement, which was not furnished in response to earlier order. 6. On 30-11-2006, counsel for assessee was directed to furnish reply in terms of the order dated 9-11-2006. He was further directed to furnish the name of stock exchange through which share was purchased and sold, rate of shares in stock exchange on date of purchase and sale on or before 6-12-2006. 7. On 6-12-2006, the assessee surrendered entry appearing in bank account number 459 of the Allahabad Bank on sale of shares amounting to Rs. 61,35,844 on agreed basis. In consequence thereof, assessee was required to furnish the bank account. 8. In the meantime, in response to the letter dated 13-11-2006, though share broker S.J. Capital Limited, member of Delhi Stock Exchange Ltd., had not sent any reply till 6-12-2006 and the letter returned unserved with remark “receiver is not residing on the address given”. Letter from Delhi Stock Exchange dated 8-12-2006 was received in which it has been stated that : (a) There is no transaction of shares of Shri Niwas Leasing & Finance Ltd., in Delhi Stock Exchange between 15-4-2002 to 19-4-2002; (b) There is no transaction of scrip between 15-5-2003 to 21-5-2003; (c) The statement provided shows that S.J. Capital Ltd., has no sale purchase of aforesaid scrip between 15-5-2003 to 21-5-2003; (d) A statement was given by Delhi Stock Exchange, which shows that S.J. Capital has not done any trading of aforesaid shares from 15-4-2002 to 19-4-2002. 1. That the applicant had sold 50,000 share of Shri Niwas Leasing & Finance through share broker M/s S.J. Capital Ltd., G-8/94 Sector-15, Rohini Delhi 110085 through Delhi Stock Exchange. 2. That the share were kept in physical form and not kept in Demat Account. 3. That the applicant approached share broker M/s S.J. Capital Ltd. For recon formation of transaction and also for the conformation of market rate on the date of sale of shares. 4. That the applicant is assessed to tax from the last over a period of 30 years and understand the consequences in the event of not able to explain the nature of credit entry in the bank account. Presently applicant is also not in a position to produce Director of M/s S.J. Capital Ltd. G-8/94 Sector 15 Rohini Delhi 110085. 5. That the share broker M/s S.J. Capital Ltd. is not co-operating with the applicant and under the circumstances applicant decided on his own will to co-operate with the Income-Tax Department and voluntarily agreed to surrender and offer the amount received through share broker M/s S.J. Capital Ltd., through D.D. which were credited in the saving bank account No. 459 Allahabad Bank, Kesar Bagh Branch, Lucknow as income for taxation. 7. That under the circumstances when M/s S.J. Capital Ltd., share broker not co-operating applicant voluntarily agreed to offer the said DD amount totalling to Rs. 6,35,844 received from share broker M/s S.J. Capital Ltd. As income from undisclosed sources and willing to pay the due Income-tax on the said amount of income to purchase peace with the department and to avoid the unnecessary legal lengthy proceedings. That under the facts and circumstances of the case narrated above and in view of the applicant has voluntarily agreed to offer, the said amount of Rs. 61,35,844 received from M/s S.J. Capital Ltd. And also (sic) to pay Income-tax, since the applicant himself offered the amount received from M/s S.J. Capital Ltd., for taxation, therefore there is no question mens rea evidence in the instant case, liable for penalty for concealment, it is therefore requested that no penalty proceedings under section 271(1)(c) may be initiated as held by Supreme Court and various High Courts, “that no penalty under section 271(1)(c) is leviable no voluntary agreed addition. 10. Keeping in view the aforesaid facts and circumstances, the Assessing Officer has treated the addition of Rs. 61,35,844 as income from undisclosed source under section 69A of the Income-tax Act, 1961 and charged interest under sections 234A and 234B of the Act and issued notices for penalty under section 271(1)(c) of the Act vide order dated 22-12-2006. 11. After receipt of the reply of the notice under section 271(1)(c) of the Act, Assessing Officer imposed penalty of Rs. 18,38,000 on the assessee vide order dated 18-6-2007. 12. Feeling aggrieved, assessee preferred an appeal against the imposition of penalty. The Commissioner of Income-tax (Appeals), while allowing appeal, observed that mere issuance of notice or questionnaire does not lead to proof of concealment or furnishing of inaccurate particulars of income. It has further been observed that order-sheet does not disclose anything about concealment or furnishing of inaccurate particular. The disclosure of amount lying in Bank on 6-12-2006 was voluntary, hence, no penalty could have been imposed under section 271(1)(c) of the Act. 13. The appeal preferred by the revenue before the Income-tax Appellate Tribunal [hereinafter referred to as ‘Tribunal’] was also dismissed reiterating the order of appellate authority. The Tribunal observed that mere surrender does not amount to concealment of income-tax. It has also been noted by the Tribunal that shares were kept in physical form and not kept in demat account. S.J. Capital Ltd. of Delhi is an established shareholder and since it was not co-operating the assessee as voluntary surrender and disclosed the account. 15. The appellate authority and Tribunal had treated the disclosure of income on 6-12-2006 as voluntary on the ground that till that date, there was no order indicting the assessee conduct since the share broker M/s S.J. Capital Ltd., has not co-operated assessee disclose the income to keep peace of mind. The reason for disclosure of account in question has also been given in the para-5 of the letter dated 6-5-2006 (supra), submitted to the Assessing Officer is the non-co-operation of the share broker M/s S.J. Capital Ltd. However, defence taken by the assessee seems to be not correct as evident from the reply sent by Delhi Stock Exchange dated 8-12-2006. Delhi Stock Exchange communicated that M/s S.J. Capital Ltd., has not done any trading of share in question from 15-4-2002 to 19-4-2002. There has been no transaction of share of Sri Niwas Leasing and Finance Ltd., in Delhi Stock Exchange during the period in question. There has been no sale and purchase shares by M/s S.J. Capital Ltd., between 15-5-2003 to 21-5-2003. Thus, the assessee had not approached the Assessing Officer with clean hand. Things would have been different in case the assessee while disclosing the income would have given correct fact. 16. Apart from above, from the order-sheet, it appears that before the Assessing Officer, learned Counsel for the assessee has not furnished the required information in terms of the order dated 27-10-2006 on 9-11-2006. Counsel for the assessee tried to evade from furnishing the information on 23-11-2006, thereafter on 30-11-2006, only after receipt of final call to make available by 6-12-2006, income was disclosed only on 6-12-2006. 17. Accordingly, in view of the above, the Assessing Officer inferred that being cornered by the revenue and having no way of escape, the assessee has disclosed the income on 6-12-2006, which cannot be treated as voluntary disclosure. 18. Law help those who are fair in their action and intend to co-operate with the department with open heart. In case after trying best on his or her part to escape the liability, disclosure is made, it may not be treated as voluntary disclosure to escape the penalty under section 271(1)(c) of the Act. 19. While moving application for voluntary disclosure, the assessee must disclose the correct facts, instead of making a ground on false pretext. The narration of facts in the letter of assessee dated 6-12-2006 (supra) seems to be incorrect or false to some extent in case it is tested in the light of the letter sent by Delhi Stock Exchange dated 8-12-2006. 20. Reliance has been placed by the learned counsel for the respondents on CIT v. Aggarwal Pipe Co.  240 ITR 880 , where Delhi High Court held that bona fide surrender of cash credit by assessee during the course of assessment proceeding shall not entail penalty. 21. In the case of CIT v. M.M. Gujamgadi  290 ITR 168/162 Taxman 211 (Kar. ), Hon’ble Supreme Court held that every addition of income by Income-tax Officer will not automatically attract levy of penalty unless explanation of assessee is not found to bebona fide. 22. In the case of CIT v. Mohinder Singh  139 ITR 160/ 5 Taxman 93 , Allahabad High Court held that for fixing of quantum of penalty under section 271(1)(c)(iii) the amount of income in respect of which particulars have been concealed or inaccurate particulars may be furnished has to be found by the authorities concerned. 23. However, cases relied upon by the respondents counsel seems to be not applicable under the facts and circumstances of the case since assessee seems to not acted bona fidely. 24. The facts and circumstances of the case on record shows that the assessee had not acted fairly. The manner in which the assessee has tried to prolong the case before the Assessing Officer by not providing information immediately and narrating incorrect facts in the letter dated 6-12-2006 shows that the assessee has been deliberately concealed the income and disclosure was not voluntarily but under compulsion being cornered by the Assessing Officer. 25. In CIT v. Suresh Chandra Mittal  251 ITR 9/119 Taxman 433 , Hon’ble Supreme Court has held that where the burden of proving concealment is not discharged, penalty cannot be levied. In the present case, the order passed by the Assessing Officer is reasoned order, disclosing the material with regard to concealment of income. 26. In CIT v. Suresh Chandra Mittal  241 ITR 124/ 123 Taxman 1052 Madhya Pradesh High Court (Indore Bench) held that burden of proof to disclose concealment of fact rest on the shoulder of revenue. Additional income offered to buy peace and avoid litigation is justifiable ground and penalty cannot be imposed. 30. Lord Denning and Lord Harman had described the tax avoidance scheme adopted at certain quarter as magic performance by lawyer-turned-magicians, ‘which smells a little of the lamp’ and which smells it is a splendid scheme-it is almost too good to be true. In law quite too good to be true. “The taxing authority is entitled and is indeed bound to determine the true legal relation resulting from a transaction. If the parties have chosen to conceal by a device the legal relation, it is open to the taking authorities to unravel the device and to determine the true character of relationship. But the legal effect of a transaction cannot be displaced by probing into the “substance of the transaction”. “We think that time has come for us to depart from the Westminister principle as emphatically as the British Courts have done and to dissociate ourselves from the observations of Shah, J. and similar observations made elsewhere. The evil consequences of tax avoidance are manifold. First there is substantial loss of much needed public revenue, particularly in a welfare state like ours. Next there is the serious disturbance caused to the economy of the country by the piling up of mountains of black money, directly causing inflation. Then there is “the large hidden loss” to the community. . . .
34. In the present case, assessee tried his best to escape from communicating the relevant information even while surrendering the income ground taken for the purpose are not correct. This shows the state of mind and disclosure seems to be not voluntary but under compulsion being cornered by revenue. Of course, thing would have been different in case immediately after receipt of notice on first and second date, the assessee would have disclose the escaped income. 35. In Bombay High Court in Western Automobiles (India) v. CIT  112 ITR 1048, held that where cash credits are discovered in the accounts and the assessee accepts the amounts as his income for the year in question, it would be sufficient to discharge the onus on the revenue in penalty proceedings by relying upon such admission. Assessee permitted to submit explanation. Thereafter levying of penalty may not be faulted. 36. In Krishna Kumari Chamanlal v. CIT  217 ITR 645/82 Taxman 323, Bombay High Court upheld the penalty where assessee did not avail of the opportunity given to show that the amounts mentioned above were not concealed income. Despite several opportunities, the assessee did not remain present. Later on agreed to surrender the amount only after seizure operation took place. 37. In Varkey Chacko v. CIT  203 ITR 885/70 Taxman 152, their Lordship of Hon’ble Supreme Court has held that when the Income-tax Officer reached the satisfaction that the appellant had concealed his income and made the assessment order. Assessing Officer had rightly imposed penalty. However, penalty may be imposed only after assessment order made which finds such concealment or furnishing of inaccurate particulars. 38. Andhra Pradesh High Court in a case in K.S.N. Murthy v. Chairman, CBDT  252 ITR 269/119 Taxman 310, has held that ‘voluntary’ means without compulsion; it has to be understood as anything done intentionally and without coercion, compulsion or constraints. Where, assessee is not ‘voluntary’, it should be satisfied on the basis of the materials on record. Mere fear on the part of the assessee without anything more, cannot be a ground for not exercising the discretion. Such fear must be traceable to imminent or proximate exposure of the assessee to penal action, but for the filing of the return. 39. A Division Bench of the Allahabad High Court in a case Banaras Chemical Factory v. CIT  108 ITR 96, held that disclosure of concealed income of Rs. 6,00,000 assessee was guilty of concealment, liable for penalty. 40. 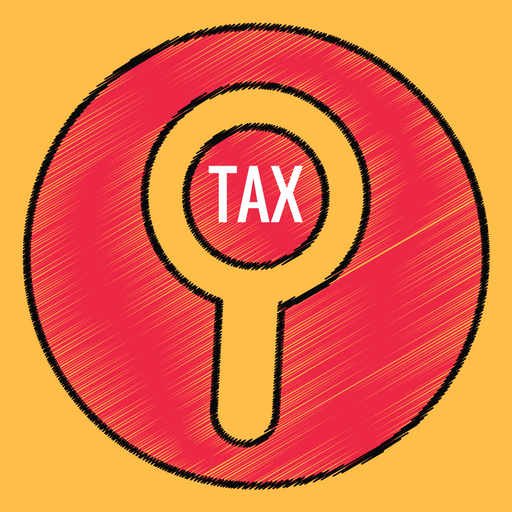 In Sir Shadilal Sugar & General Mills Ltd. v. CIT  168 ITR 705/33 Taxman 460A, their Lordship of Hon’ble Supreme Court held that where assessee agreed to additions to his income, it does not follow that amount agreed to be added was concealed income. There may be a hundred and one reason for such admission. “Voluntarily, adv. Intentionally; without coercion. Voluntary, adj. 1. Done by design or intention . 2. Unconstrained by interference; not impelled by outside influence . 3. without valuable consideration; gratuitous . 4. Having merely nominal consideration -voluntariness, n.
44. Thus, from the dictionary meaning conduct of the assessee in case judged it does not seem to be a natural disclosure of account while writing letter dated 6-12-2006. The assessee has concealed the material fact and given incorrect statement of fact in Para 5 of the application and also not provided information required by the Assessing Officer, at very threshold after receipt of notice. Accordingly action of the assessee is neither bona fide nor voluntary. 45. Hon’ble Supreme Court in a case Union of India v. Dharmendra Textile Processors  306 ITR 277/174 Taxman 571, held that basic scheme for imposition of penalty under section 271(1)(c) of the Income-tax Act, section 11AC of the Central Excise Act and Rule 96ZQ(5) of the Central Excise Rule is common. Hon’ble Supreme Court noted the conflict of opinion between two judgments in Dilip N. Shroff v. Joint CIT  161 Taxman 218 on the one hand and on the other hand, Chairman, SEBI v.Shriram Mutual Fund  5 SCC 361. After considering these two cases and Explanation given in section 271(1)(c) of the Income-tax Act, Hon’ble Supreme Court referred the matter to Hon’ble the Chief Justice to be adjudicated by larger Bench. However, it has been held that the object behind the section read with Explanation indicates that it has been enabled to provide for a remedy for loss of revenue. The penalty under section is civil liability. Wilful concealment is not an essential ingredient for attracting the civil liability as is the case in the matter of prosecution under section 276C of the Act what has to be seen as to whether officer has record finding with regard to concealment? 46. In Three Judge Bench of Hon’ble Supreme Court, in Dharmendra Textile Processors’ case (supra) (while adjudicating reference), held that the Explanations added to section 271(1)(c) in entirety also indicate the element of strict liability on the assessee for concealment or for giving inaccurate particulars while filing returns. 47. In a recent case in CIT v. Atul Mohan Bindal  9 SCC 589 their Lordship held that mens rea is not necessary for imposing penalty under section 271(1)(c) of the Act since it is a civil liability. The provision imposing strict liability on the assessee for concealment of income. It has further been held that if the Assessing Officer satisfied that the person has concealed the particulars of his income or furnished inaccurate particular of such income, such person may be directed to pay penalty. 49. In view of above, disclosure by the assessee does not seem to be voluntary and bona fide but under compulsion. Assessee has not furnished correct information while moving the letter dated 6-12-2006 with unclean hand. 51. The appeal is allowed and question answered in favour of revenue. No costs. This entry was posted in Sec. 271(1)(c ), Section 271 and tagged 331 ITR, Allahabad High Court, In favour of Revenue.